The system of administrative procedures in the Republic of Macedonia has been modernized by the incorporation of a completely new legal framework – the new Law on General Administrative Procedure. The Law entered into force on July 27 2015, with an effect from July 27 2016. It represents a logical continuation of the founding principles that were a basis for the previous Law, but at the same time it introduces progressive administrative tools such as IT communication, access to a single point of contact, administrative agreement and an effective system of administrative remedies. 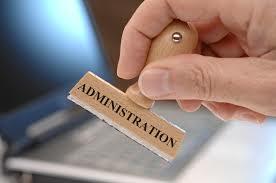 It is expected that the new Law will contribute towards improvement of the transparency of administrative procedures, incensement of the citizens’ trust in public administration, as well as encouragement of the practice-oriented administrative services and professional public administration as an essential requirement for economic development.